Today’s the day Sony decided to unveil video Walkmans to the US for the first time with the NWZ-A810 and NWZ-S610 series Walkman media players. 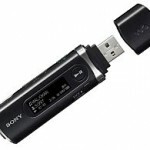 Both players support an open platform for downloading and saving music and video content to coincide with Sony phasing out its CONNECT music service. 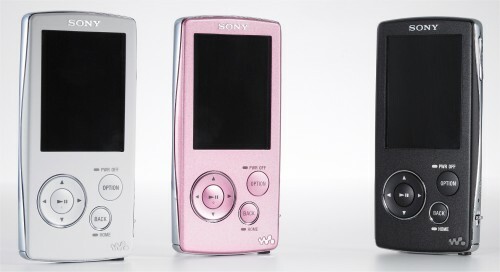 The players come in capacities of 2GB, 4GB and 8GB and in colors of black, pink, red and silver. The higher end NWZ-A810 model has a 2-inch QVGA (320 by 240) LCD, comes packaged with some high-end noise isolation earbuds and has a battery life that supports video playback of up to 8 continuous hours. The NWZ-A810 is targeting a little bit younger crowd with a 1.8-inch LCD and features an FM tuner and a little more battery life for continuous video of 9.5 hours. 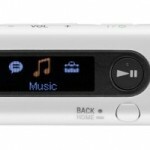 Both models promise to provide an impressive 33 hours of continuous music playback. The NWZ-A810 series video Walkmans will go for $140 (2GB), $180 (4GB) and $230 (8GB), and the NWZ-S610 series will retail for $120 (2GB), $160 (4GB) and $210 (8GB). Both are expected to start shipping in September but you can get your name on one now by pre-ordering through SonyStyle.